Don't take chances - get your gutters checked today! 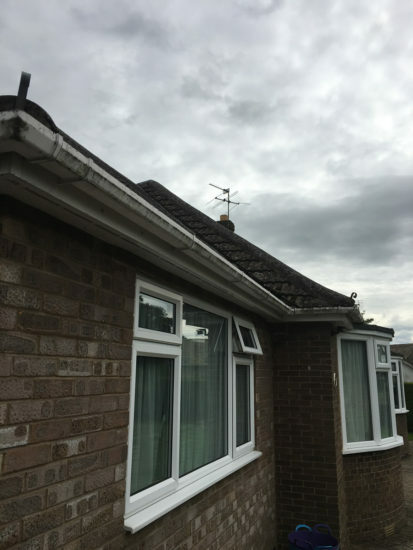 Every year in the UK, blocked and overflowing gutters cause millions of pounds worth of damage to homes and businesses. 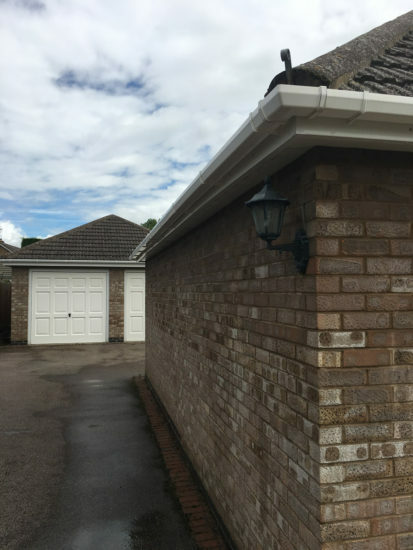 Often blocked gutters go unnoticed for weeks or even months, until one particularly heavy rainfall allows water to overflow into the building. 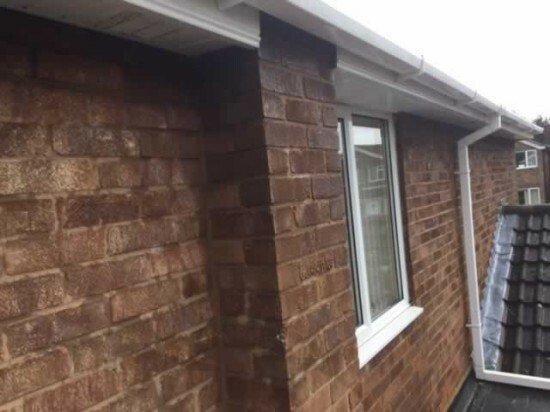 Avoid the stress and the expense - Call us today on 07709 416601 to book a regular gutter survey. We recommend having your gutters checked at least once every year, and if your house is near to trees an additional check in the autumn is good as fallen leaves are a main cause of blockages. 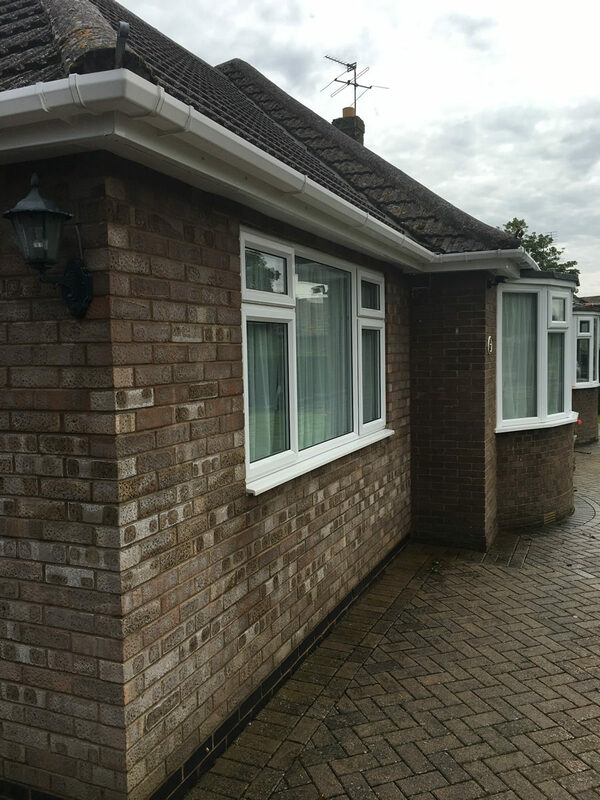 We offer quotations free of charge. 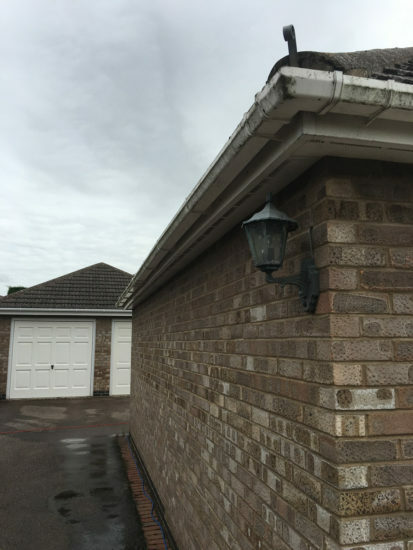 In the damp British climate, white gutters don't stay white for very long. 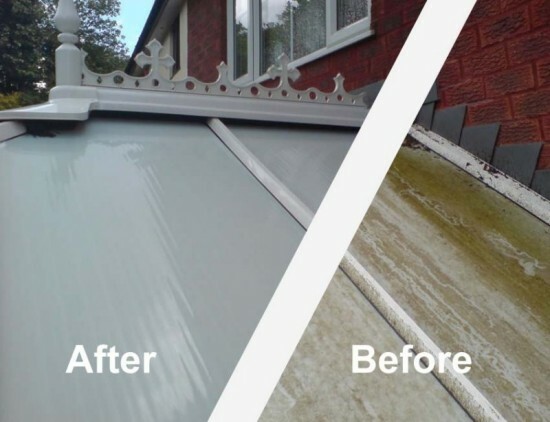 Traffic grime, lichen and green algae adhere to uPVC surfaces and leave them looking tired and unkempt. Lanes Window cleaning has the solution! Our pure water cleaning system is perfect for scrubbing away the grime to reveal the sparkling white underneath - in just a few hours your home can be transformed and your gutters will be sparkling white again. Our services are available in Grantham, Oakham, Stamford, Uppingham, Empingham, Seaton, Ketton, Hambleton, Lyddington, Burghley, Wing, Aswell, Whissendine, Buckminster, Caldecott. Harringworth and Preston.